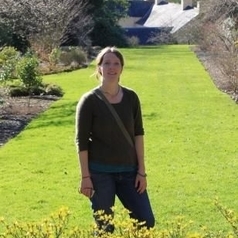 Laura is a researcher at Aberystwyth University's Department of Geography and Earth Sciences. Laura is part of the GLOBAL-RURAL team, researching processes and effects of globalization in rural areas, focusing on case studies within Wales. Prior to this, Laura worked on several research projects focused on aspects of rural communities, land use and change, including the FP7 DERREG project (Developing Europe’s Rural Regions in an Era of Globalization’), and for the Wales Institute of Social and Economic Research, Data and Methods (WISERD) and the Wales Rural Observatory. She is currently also part of the project team researching volunteering in later life as part of the ESRC WISERD/Civil Society Research Centre. Laura completed her doctoral research at Aberystwyth University on popular geopolitical knowledge production in response to the 9/11 terrorist attacks against the United States.